TWIN DIESELS. SHAFT DRIVE. TWIN HELM. Perfect Ocean Cruiser, Weekender and Liveaboard. 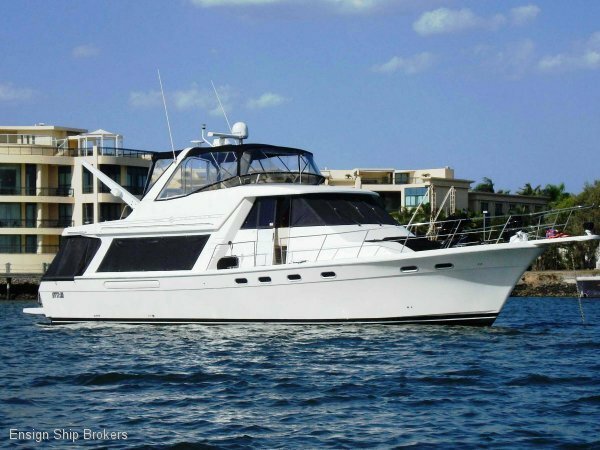 "Cest La Vie" is immaculate with 3 cabin layout and large deck areas. Luxury leather trim, full size bath in master ensuite and reverse cycle air conditioning. The Twin Hino 310HP Turbo Diesels push her along at 20 knots with economical running at 10 knots. The 3 cabins give comfortable accommodation for 6, all with their own ensuites. Please contact Ensign Sydney for more information.